Yet another week is back with a new development in the ratings to look forward to. The biggest development however is the fact that we have a new topper and a rather unanticipated one. That and other things, let us see what happened. Falling in the list rather badly is Zee TV's Tujhse Hai Raabta as the show is struggling to keep it going and still manages to stay somehow with 1.9 points at the last spot. 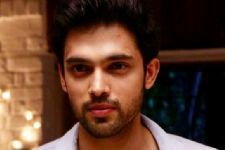 At number 9 going on witness a slight rise in the list is Yeh Rishtey Hai Pyaar Ke. The show suffered a bad fall last week from the top spot but has managed to stay in the list somehow with 1.9 points. Also falling in the list as a surprise is Super Dancer Chapter 3. The show has been doing good lately but is now on the decline as the show garners 2.1 points and is on the 8th position. Yet another surprise in the list falling badly is Yeh Rishta Kya Kehlata Hai. The longrunner has been up in Top for a while but has now declined as the show garnered 2.3 points. 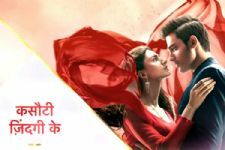 The topper from last week witnesses a massive slump in the list as Kasautii Zindagii Kay 2 is down on the 6th spot with 2.3 points. Some encouraging news for The Kapil Sharma Show Season 2 as the show that has been falling in the list rather badly for a couple of weeks is finally rising up the list and is up on the 5th spot with 2.5 points. After suffering a fall for consecutive weeks, Naagin 3 is back in the running of sorts as it is up on the 4th spot with a fairly decent 2.6 points. The fall on the 3rd position for Kundali Bhagya is not at all of any concern. The show is down on the 3rd spot indeed but the show grabbed a pretty good 2.6 points. 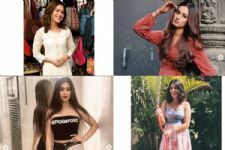 It is a mammoth rise up to the list on the 2nd spot for Kullfi Kumarr Bajewala as the show's current track is certainly doing wonders. The show garnered a superb 2.7 points, it's higest in recent times. In a surprising turn of events, Kumkum Bhagya goes on to top the list for the first time in several months. The show grabbed a fantastic 2.7 points and the 1st spot. Kudos! 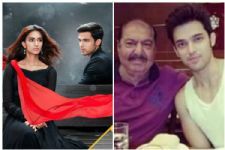 Kumkum Bhagya topping and Kullfi's massive rise end this week's ratings on a pleasantly surprising note and now we have next week to look forward to already. Watching Kumkum Bhagya for Prachi (Mugdha Chaphekar). Erica Fernandes is so brilliant in this scene uploaded in the article by IF.